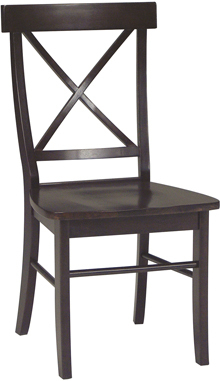 X back chair is available in Espresso. White. Black. Black & Cherry. Rich Mocha. Cinnamon & Espresso. 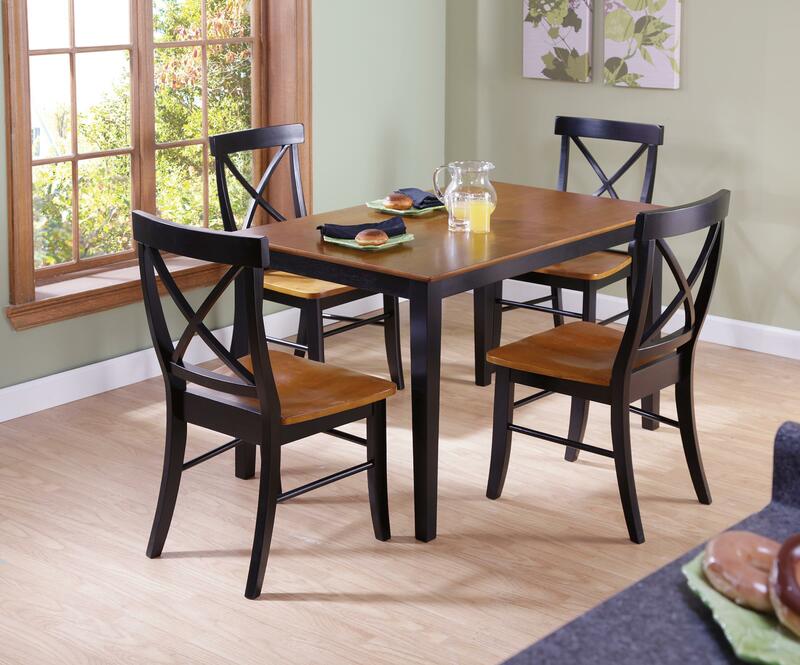 The table is solid 30 x 48 table that comes in Espresso. White. Black. Black & Cherry. Rich Mocha. Cinnamon & Espresso. 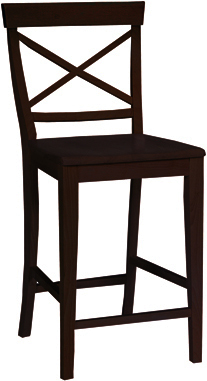 Available in 24" & 30" Stool height in Black. Black & Cherry. Cinnamon & Espresso. Espresso.